I’m very excited about my January 2017 OMG. I hope by the end of this month to have the quilt top done for the small quilt I am making for my sister-in-law Sharon’s 65th birthday in April. She loves the four Fancy Foxes I made last year, and rather than using them in a wall-hanging for me, I am going to use them in the quilt for Sharon. This month I am planning to make three Hazel Hedgehog blocks and two Thistle blocks. All of these blocks are designed by Elizabeth Hartman for her Fancy Forest quilt. The quilt for Sharon will just have the foxes, hedgehogs, and thistles, and I am planning to make it 48″ square, possibly with a border around the edge. Linking up to Elm Street Quilts: January ’17 OMG Goal Setting. Love those blocks. Thanks for linking up with Elm Street Quilts One Monthly Goal. Great color! 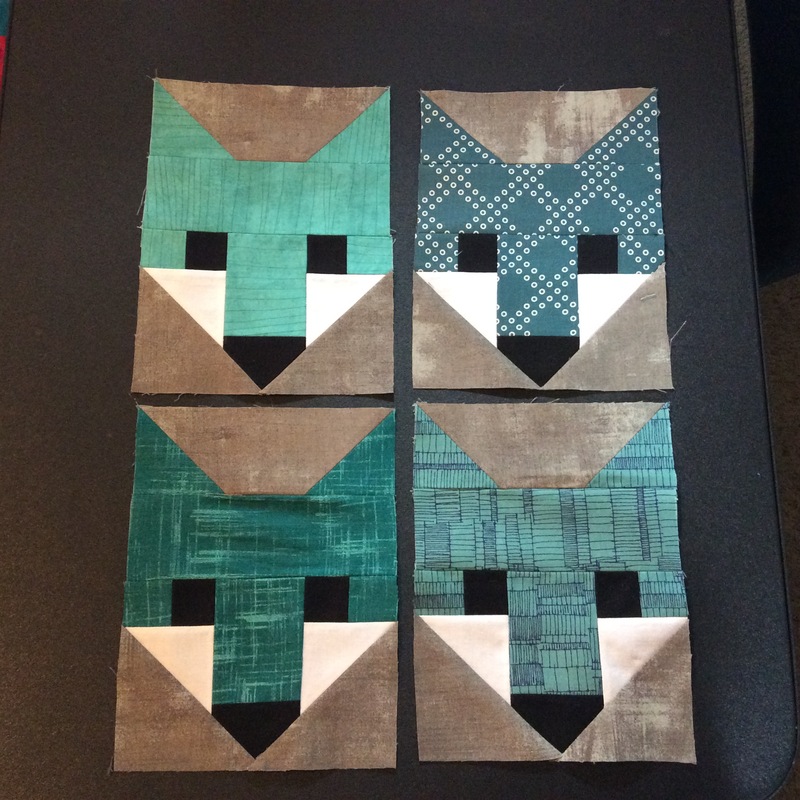 I love the foxes and look forward to seeing this quilt unfold. I’ll be making a couple hazels in the next month, too, since I’m in the hazel mania mini swap. Your foxes are great, I just love your fabric choices. i always loved these blocks Mary. My foxes looked a little squinty, but yours are prefect. Thanks so much Helen. I’m happy with the foxes but a little nervous about the hedgehogs. I’ve heard they can be challenging but not as much as the firefly which I decided NOT to do!